NEW YORK, November 28, 2018 – Brighton Health Plan Solutions (BHPS), a leading health care enablement company, today announced its SVP of Analytics Carmilla Tan has been recognized with two 2018 Stevie® Awards for Women in Business: Silver for Women Helping Women, and Bronze for Mentor or Coach of the Year. An analytics expert with over 20 years of experience, Ms. Tan has established herself as a successful professional, mentor, and role model—all in a male-dominated field. “Carmilla has been an invaluable addition to the BHPS team from day one,” said Simeon Schindelman, CEO of Brighton Health Plan Solutions. “As a company, we are committed to challenging the status quo and transforming the way health care is accessed and delivered. Carmilla exemplifies this vision to improve the future of health care. Her leadership, coupled with her clear passion for helping others to advance professionally and reach their full potential, makes her an inspiration to us all. We’re thrilled to see her be recognized for her contributions. Recognized as the world’s premier business awards, the Stevie Awards for Women in Business are open to all organizations worldwide, and recognize the achievements of women executives, entrepreneurs, and the organizations they run. As the current SVP of Analytics at BHPS, Ms. Tan is an accomplished executive and a mentor to colleagues and friends. Prior to joining BHPS, she held senior level positions at Bank of America, IBM, Mercer, NYLCare, and Merrill Lynch. Concerned about the inherent challenges women face in the workforce, including balancing work and family life, Ms. Tan embarked on a career-long journey to support women through mentoring and professional development forums. The significant impact she has had on her mentees has been formally recognized by Human Relations at BHPS, which will soon roll out a mentorship initiative based on Ms. Tan’s model and mentee feedback. Ms. Tan is also a noted speaker on the issues in health care today and has been featured at DisruptHR NYC, DisruptHR Long Island, on a NJBiz Health Panel, and in an Employee Benefit News webinar to name a few engagements. And, Ms. Tan has been a Girl Scout Troop Leader for more than a decade and runs a Lean In group in NYC. “In its 15th year, the Stevie Awards for Women in Business received a record number of nominations. We congratulate all of this year’s Grand, Gold, Silver, and Bronze Stevie Award winners for their achievements,” said Michael Gallagher, founder and president of the Stevie Awards. This year, more than 1,500 entries were submitted for consideration in 90 categories. 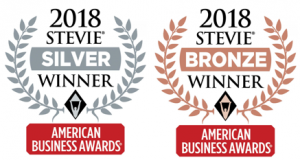 Gold, Silver, and Bronze Stevie Award winners were determined by the average scores of more than 200 business professionals from around the world, working on six juries. For information about the Stevie Awards for Women in Business and the full list of 2018 finalists, visit: https://stevieawards.com/women/2018-stevie-award-winners. Headquartered in New York City, Brighton Health Plan Solutions (BHPS) is an innovative health care enablement company that brings optimized provider networks to clients across its businesses. BHPS owns several industry-leading businesses, including Create and MagnaCare – all on a mission to deliver better health care at lower cost. We believe aligning the interests of our partners through exceptional health care products and services will fundamentally transform how health care is accessed and delivered. BHPS serves commercial and Labor plan sponsors, health plans, health care providers, no-fault and workers’ compensation payers, and other stakeholders.